Tonight saw George Henshilwood from the Caledonian Philatelic Society provide the entertainment for the last display night of the regular season. George titled his display "A Philatelic expedition to Greenland". George began his talk with a handout providing some interesting statistics concerning Greenland and explained that not a lot of genuine mail exists for the area therefore most of it is of a philatelic nature. He also displayed a 17th century explorers map of Greenland which showed an island called Frislandia next to Greenland, but this island doesn't actually exist on any maps that we would see today. George indicated that covers from Greenland were actually sealed in Greenland but sent to Denmark to be cancelled and sent out, and that the stamps issued between1905 and 1938 were used as parcel stamps and many were in fact used as savings stamps. The first real set of stamps were issued in 1938 and these were the PAKKE-PORTO issues and these were on display. George also showed examples of cancellations from the bigger towns and smaller villages as well as a number of FDC's. George highlighted the fact that when a new issue of stamps took place it could take at least 2 years before all areas of the island had them. George also displayed postal history and cancellations from villages in Thule. Stamps with surcharges, local stamps, reprints and forgeries were on show as well as a cover which was sent to Dunedin in New Zealand but which should have in fact been sent to Dundee in Scotland. Greenland also used an American issue of stamps printed by the American Bank Note Co as they were running out of stamps. George finished up his display with a variety of thematic issues and covers. As usual all four shields were available to be won by the members. Social Philately: The winner was David Easson with a display of Lake Victoria and how it is important for the population in the way of transport and the establishment of settlements and for determining the climate for the area. Thematic: The winner was Colin Campbell with a display of people, such as Discoverers, Explorers and Inventors, and the things that have affected our lives. Postal History: The winner was David Millar with a display of covers and postmarks from the Victorian era. Norman Kelso displayed part of a revenues display he is preparing on Saskatchewan Law Stamps. Tonight's visitor was Bob Barclay from Kirkintilloch Philatelic Society who provided a very entertaining display of New Zealand stamps and covers. Bob explained that his display was based on a tour of New Zealand round both the North and South islands. In the first part of his display Bob provided a tour of North island beginning with Auckland, which, being renowned for sailing, had a number of sailing stamps, especially for the America's cup which New Zealand have won. On the tour round the island a number of airmail and first flight covers were on show, including one commemorating the first New Zealander to fly across the Tasman sea. A number of stamps were displayed with the 1935 second pictorial set containing a variety of perforations. Stamps picturing birds, wine-growing and prestige stamp booklets were show. The tour finished up in Wellington where examples of adverts of the back of stamps were shown. The second part of Bob's display was a tour of the South Island where some postcards cancelled on the front were shown along with a number of airmail covers, one of which was to Sydney and another to London which was returned and contained a slogan cancel for the Empire exhibition in Glasgow. A balloon post cover was followed by a number of stamps and covers celebrating farming. We then moved on to the mountainous area of New Zealand, called the 'Southern Alps', where a cover was shown with a Maori postmark. Another cover shown was sent by James Mackay from Milford Sound, and the tour then finished in Nelson where Bob displayed a Maori map of New Zealand. Tonight, members were entertained by a visit of two members from the Caledonian Philatelic Society, George Henshilwood and Ray Welland (see left). George began his display by showing three sheets of items he pulled together, all of which related to the date 28th February and which he titled 'In times gone by'. George, by his own definition "A Stamp Collector", began with the evening with a display of what he called 'Americana'. This consisted of the American issues of 1940 commemorating famous Americans, i.e Inventors, Scientists, Composers, Authors, Poets, Educators and Artists. On show were a number of plate blocks and FDC's where the cancellations were usually of some relevance to the person being shown on the stamp. The next section of his display was the first 25 Presidents of the United States showing stamps and plate blocks. George did point out it was actually 26 Presidents but only 25 were on show as Grover Cleveland actually held the post twice. He then closed out his section with displays relating to the 'Eagle' and 'Statue of Liberty'. Ray Welland then provided a display of the Development of Airmail in the Dutch East Indies. This display consisted of a number of Airmail covers from and to the Dutch East Indies. One cover shown was sent from the East Indies to Vienna, it was flown to Budapest and then transported by rail to Vienna where it was then sent through the Pneumatic mail within Vienna. A number of first flight covers were seen for KLM and Imperial Airways. In finishing his section Ray then displayed a number of WW2 Censorship covers, including covers which were censored for Economic and Currency reasons as well as for the war. Ray also displayed a cover which had been sent after the beginning of censorship, but which had not been censored and 2 covers which had both been stamped "Not opened by Censor". In the second half of the evening Ray displayed the development of Airmail in the Dutch West Indies and Suriname. This again consisted of airmail covers, PANAM and KLM, with one cover being the first transatlantic flight to Curacao. This was followed by censorship covers and first flight covers to Suriname. George rounded off the evening with a display of Hand illustrated covers covering mainly the Victorian era from 1858 but going up to 1955. A variety of different covers were shown, mainly drawn by amateurs but one or two professionally drawn ones were included. One cover which caused amusement was one showing a map of the UK and USA with a postman straddled between the two countries. Eight members tonight displayed a fantastic 160 sheets of their stamps and covers. Francis Podger FRPSL began the evening with a display entitled Preparation. This included sheets of his KGV Revenues which he is preparing for the Malayan Study Group presentation to the Royal Philatelic Society London. He also displayed "Publication", and proceeded to present a pre publication copy of a book on Revenues written by himself and due to be released in March 2019. Colin Campbell then presented a display based on Petroleum showing a number of items from companies with some connection to Petrol. Ron Goodfellow followed this up with a display of postcards with 20th century handstamps all of which began with the letter 'P' showing different types of postmark. David Millar displayed a number of presentation packs relating to popular places and prominent people. Robert Duguid thenpresented a disparate number of items such as postacrd with a Portuguese connection, including a presentation book of stamps from 1937, foreign FDC's and aeroplane covers. as well as one showing a puffer train from the Grand Canyon. Charles Lloyd displayed a number of covers from the Peoples Republic of Mozambique. Perfins and propaganda covers, some of which were aerogrammes. and petrol rationing covers were also shown. Postage Due stamps, Portuguese East Africa covers and stamps and Postal Stationery from the Belgian Congo were also on show. Norman Kelso presented a set ogf Post & Go strips all of which were printed at the Scottish Congress in Perth begiining with the Perth 2012 issue up to last years issues at the 89th Scottish Congress. Included in the display were strips from Royal mail, Jersey Post, Guernsey Post and Gibraltar Post. Harry Jackson finished off the evening with a display about the German Pneumatic Postal System, explaining how it worked and showing cards which were used within the system. Frank grew up in Pontremoli, a small town in the hills to the north of La Spezia, Italy. He trained as a tailor before doing his national service in the Alpini. After that he opened his own tailoring business in Pontremoli, however, he wanted to come to Britain and was sponsored by the Cabrelli family in Dundee. He married Carol and worked in gents tailoring in A. Caird & Sons in Reform Street rising to become head of department. Frank had an interest in stamps and joined the Dundee & District Philatelic Society. His family grew with the arrival of daughters Vivienne and Francesca. Frank’s career took a different direction when Caird’s closed. It saw him move to Debenhams before breaking out on his own. From premises in King Street, he opened a stamp shop and tailoring business. The stamp shop along with other collectibles, Cornucopia Collectors, was in the front room, whilst Frank’s tailoring was in the back room. By then he employed home workers to carry out much of the tailoring work. Taking over the running of Dundee Philatelic Auctions, he held public auctions in the Tay Centre Hotel (Malmaison) before moving the auction to Glasgow for a wider audience. With changing trends there was much less demand for bespoke tailoring so he concentrated on the philatelic business becoming a weel kent figure at stamp fairs and a much respected figure in the trade. His interest in stamps waned to some extent when he became a member of Tayside Postcard Club. With his stock, mainly of postcards, he grew to become one of the UK's most familiar and respected philatelic dealers, with customers from around the country and beyond. He had left Italy but he was still Italian with a love of good fresh food and partial to red wine. Frank could never understand why the Brits didn’t make use of the food which was in abundance whilst they ignored it. The family would go out foraging for wild mushrooms, collecting and drying them. Frank’s Italian family were always pleased to see him back in Pontremoli in the summer school holidays. His stash of mushrooms were also much in demand! Frank was above all a family man and in Cornucopia Collectors’ case, family business did mean family as Carol, Vivienne and Francesca ran the business with him. That family business has grown since grand-daughter Rachel also works part-time when she’s not at university in St. Andrews. Many others will share their sorrow on the passing of this colourful, friendly, congenial man. Tonight's meeting saw members enthralled by a display of Norman Watson's Penny Red Dreadfuls. Norman began by outlining why the Penny Red's were devised. Concerns were being expressed in May 1840 about the public being able to remove the red Maltese cross cancellation from the stamp to reuse it. Black cancellations were attempted but these could not be distinguished from the colour of the Penny Black, so the Penny Red with black cancellation was introduced in Feb 1841. 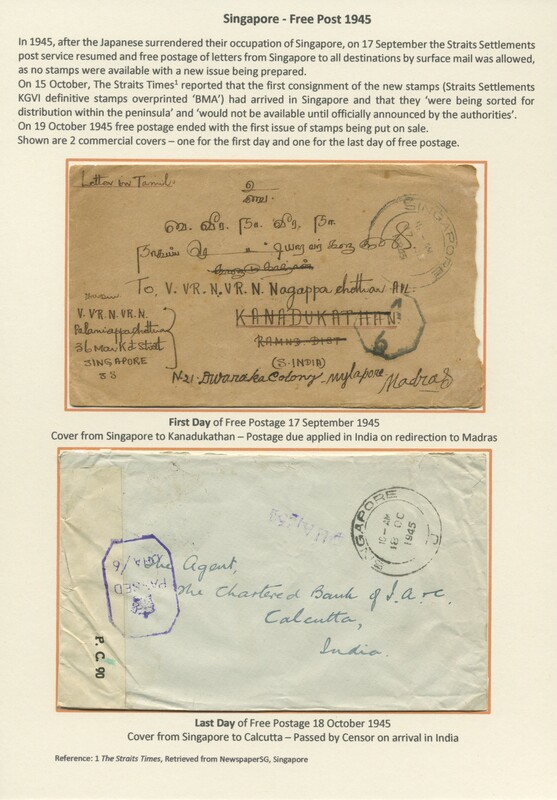 The covers on display showed a cross section of the different types of abuse of how the stamps should be used on letters, which mainly went against the postal regulations. Norman explained that in the early days some of the public were frightened to lick the stamps due to a fear of catching some form of illness, so some of them used sealing wax to attach the stamp. A variety of covers on show such as a cover with 3 distinct Maltese cross cancellations which is extremely unusual, another cover where a tiara had been drawn of the stamp, some covers where instead of placing the stamp in the top right hand corner of the cover it was used on the back to seal the envelope, even indicating on the front that the stamp had been affixed to the back. Other covers included one where the Penny Red was printed using a Penny Black plate, another cover posted in 1850 in Golspie which arrived in 1856, another with a bisected stamp, again contrary to regulations, and another cover which is probably the only one in the world with a redirection to Queen Victoria. Part 2 of Norman's display covered four different topics, the first of these was a short display on Votes for Women. The covers shown gave an inkling as to how the Suffragettes used the post by issuing propaganda postcards, defacing mail by putting chemicals in the postboxes, using tar and burning mail. One cheeky postcard showed a collage of a postbox chasing a suffragette. Norman then displayed a number of items all of which were related to Armistice Day 1918. All letters on show were cancelled on 11th November 1918 and included letters from family to soldiers on the front and vice versa. One cover on show is probably the first known cover to show the poppies logo. The next section on show were Penny Black covers showing their usage and anomalies. This included covers with 4 stamps from the same plate, one unusually with a vertical pair, another cover with what is thought to be the last red Maltese cross cancellation and other covers sent from Robert Peel to William Gladstone. The final part of his display concerned the fight to get a Burns stamp issued, and quite appropriately included a cover with a handstamp from Alloway. Tonights meeting was a change from the scheduled meeting. Instead of "The Learning Zone", members were invited to bring along some of their Thematic displays and show them off to the other members. Such was the response that 10 members showed off over 250 sheets, which is probably a new record for the society. David Millar:	The theme was how the style of printing of GB stamps has changed over the years, starting with mono printing including different shades, through to multicoloured, including the changes from lithographic printing to photogravure. Ron Goodfellow:	This display consisted of Belgian covers from World War I where the majority on display were commercial covers, showing different postal rates and censor marks. As part of the display a number of 'vandalised covers' were shown where Royal Mail has used felt tip pens to cancel the cover by scribing through the stamps. Sandy Forbes:	The theme for this display was WWI battles, specifically the battle for Gallipoli and who participated in it. Another part of the display was Trees and Timber showing Oak Trees and what products could be produced from it. Charles Lloyd:	The subject of this display was National Heroes from Zimbabwe where sets of 4 to 5 stamps were issued each year showing members of the different political parties. Also shown were stamps issued by both Rhodesia and Zimbabwe all depicting Victoria Falls. Francis Podger:	On display was a number of items of ephemera all of which related to the international stamp exhibition held in Singapore in 2015. Also displayed were a number of covers and letters relating to the coronation of King George VI. Harry Jackson:	A number of stamps all of which had the common theme of 'Refugees' which concerned the refugee crisis in Syria and China in the 1940's. The stamps included those issued for the United Nations related World Refugee Year. Norman Kelso:	The first part of the display concerned the Chinese New Year and showed the miniature sheets issued by Canada. The miniature sheets also contained transition sheets which showed the stamp from the current year and stamp for the coming year. The second part of the display was a set of stamps showing the different types of Penguin. Peter Dix:	The theme for this display was Ships and on display were stamps from various countries including different types of ship such as sailing ships, longboats, mail ships, the Union Castle, tall ships and explorers. Colin Campbell:	On display was a set of ephemera all of which was related to 'The Boys Brigade'. David Easson:	The final display of the evening was related to all the different modes of Transport which included Helicopters, Railways, Balloons and also included covers with a connection to some mode of transport. Tonights meeting was a members night where members competed for the Rosebowl in the One-sheet competition. This year's winner was Francis Podger with his entry of 'Singapore Free Post 1945'. All entries had been well researched and were neatly mounted with suitable explanations. As can be seen from the titles, there was a great variety of subjects which were extremely interesting. Judging the winner was difficult! The winner was Francis Podger. The Vice-President presented Francis with the competition rose bowl. David Easson:	Showed Uganda Christmas issues. Initially, these were influenced by European art but towards the end of their annual production (in 2000) the influence became indigenous. 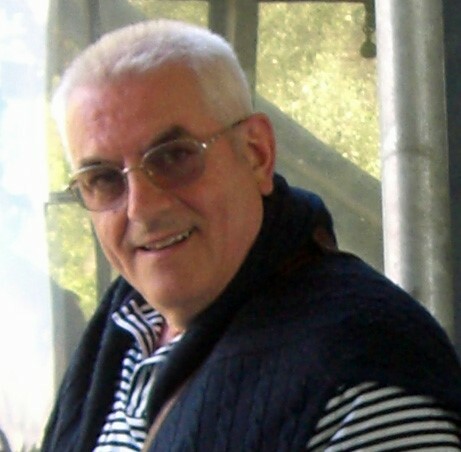 Peter Dix:	Peter had extended his nautical interests with issues and covers connected with the Mayflower and Pilgrim Fathers. He showed newly acquired postcards of Union Castle liners from the interwar period (Arundel & Grantully Castles) and a letter sent to a passenger that was returned to sender because she had missed the boat. Another interest is birds on stamps and he brought some that were grotesque (in his opinion). Colin Campbell:	Colin showed recent issues from Hong Kong. He questions the development of HK philatelic policy because although the stamps can be attractive there are an increasing number of booklets being released. Finally, he showed an imperforate miniature sheet issued by Gibraltar for the Duke & Duchess of Sussex wedding (complete with a PO authentication certificate) Again, he questioned this practice. Harry Jackson:	Stamps issued by the DDR in 1955. There were a significant number on which socialist topics (eg workers) were seen, crowned by an issue commemorating Friedrich Engels. Francis Podger:	Incoming mail to Singapore. Francis explained that in addition to investigating the philatelic aspects of his covers (postal rates etc) he is now researching the carriage of these letters. Complete records of shipping available on the internet enable him to identify the vessel and hence the routing with a great degree of certainty. Our visitors tonight were three members of the Scottish Philatelic Society, John Law, Ian Anderson and Richard Cuthbertson (see photo on the left). Ian Anderson started off by providing a display of the German Colony of Togo. During the war the occupying forces sent mail using German stamps overprinted in English, French and Franglais. All stocks were used up by 1915 so the British brought in stationery and stamps from the Gold Coast. The French brought in their own stamps. At the end of the war part of the colony was given to the Gold Coast and the bulk was given to the French. Ian's display consisted of stamps and covers during the occupation. John Law then provided members with a display of charity stamps. John explained that there were three types of charity stamp, overprints on existing stamps, a single or small set for a specific cause with 2 values, a single postal value used on a long series of stamps. On display was what is found to be the earliest known charity stamp from Jamaica, Danish, Austrian and Swiss stamps. Richard Cuthbertson then followed on with stamps and covers from the Portuguese Colony of Timor. Included in this display was the last stamp issued by Timor as well as charity stamps of Timor and war tax and other types of tax stamps. The final display of the night was presented by Ian Anderson on behalf of Eric Mason who was unable to attend the evening. This was a display of stamps and postcards all of which had some relevance to the tea industry. 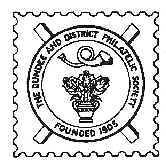 Unfortunately due to illness members of Dunfermline Philatelic Society were unable to attend the meeting. Secretary Charles Lloyd at the last minute organised eight of the local members to bring along some of their own material and at least 250 sheets of stamps were put on display. Charles Lloyd displayed stamps and covers from Nyasaland 1934 up to Independence. Ron Goodfellow displayed a series of postcards with scottish postmarks from Aberdeen to Torphins and all places inbetween. Colin Campbell displayed Hong Kong stamps and miniature sheets up to 1970. Due to unforeseen circumstances the speaker for the evening was unable to attend so our secretary Charles Lloyd stepped into the breach to provide members with an absolutely fascinating display of UDI Rhodesia and Zimbabwe. Charles provided members with a comprehensive overview of the transition period in the 1960's when there was a push for more equality, eventually leading to UDI being declared in 1965 and eventually to Zimbabwe in 1970. Charles also explained how the mail during the UDI period was subject to sanctions. Great Britain did not acknowledge the declaration therefore every letter sent to the UK was deemed invalid and incurred postage due. On display were a few covers which confirmed this fact. More covers were shown with propaganda stickers and others which were sent OHMS but were still subject to taxation. Quite a number of sets of stamps were on display including some stamps with dual currency following the change to decimalisation. Charles also displayed a cover which had a postage due of 7/-, as would be expected this was refused by the recipient. This was followed by the last cover of Rhodesia following the change of government in 1970 when it became Rhodesia-Zimbabwe. In the second part of his display Charles showed a number of sets of stamps from the newly named republic of Zimbabwe which included commemoratives and definitives with neutral subject matter such as rural life, railways, bees, fish and the air force. At this point Charles provided an overview of the effect inflation had and how that led to hyperinflation and the significant increases in stamp prices. This eventually led to the abandonment of using Zimbabwe Dollars in favour of US Dollars. Charles finished off his display with an unusual first day cover issued in 2018 which had no stamps on it. This evening members welcomed as a guest speaker Richard Cuthbertson from the Scottish Philatelic Society, who would present a display from the Portuguese colony of Macau, which is situated at the bottom of China facing the China Sea. Richard explained that he previously lived in Hong Kong for a number of years and collected Hong Kong before giving this up to collect Macau. He has now accumulated practically all of Macau leaving very little for him to now collect. The display covered the period from 1910 right through to the 1950's and consisted of a variety of stamp sets, sheets and some covers. Some of the overprints were carried out in Lisbon and others were done locally in Macau. The overprints were usually done whenever there was a requirement for extra stamps as supplies were running low and replacements could not be received in sufficient time. Included in the display were a number of bisects, used when insufficient stamps of the value required were available and higher values used and cut in half. Major issues of stamps such as the Empire issue, Padroes issues and Ceres issues were on show as well as two Prisoner of War covers. Richard informed us that Macau was a neutral country during the war. Following the war the colonies were given more autonomy about what types of stamp they produced and this gave rise to topics such as cultural themes, omnibus issues (with the other colonies), views issues, some of which were surcharged and were overprinted. As is customary the President began the new session with a display, and this year President David Millar displayed a series of covers and letters from Victorian Times. David explained that he spent a lot of time carrying out research on the internet on the letters on display, tracing genealogy and postmarks. Deciphering the handwriting provided quite a challenge and he sought help in achieving this task. The bulk of the covers were penny reds, but David did show a penny black cover as well. One cover on display had the writing crossed over which David explained was done to save on weght which kept the postage charges down. With such a number of covers on display it was also possible to see how the cancellations developed over years. My name is Martha Smart and I am the deputy manager for Oxfam Books and Music on Reform Street Dundee. As I am sure you are aware our shop relies entirely on donations, some of which happen to be stamps. Currently however, all of our donated stamps (bar the ones that are relatively easy to find and price) are being sent to other Oxfam shops who are lucky to have a volunteer who has a good knowledge of stamps and their value. This is why I thought I would get in touch, just in case you have any members who might be interested in giving up a couple of hours in the week to help us value our stamp donations and get more of our donated stamps on sale. We have a great team of volunteers and there is always plenty of tea and biscuits, it's also great opportunity to meet new people whilst enjoying a hobby, not to mention all the money raised will be going towards very good causes. If you have anyone who might be interested then they can pick up an application from our shop or fill one out online (https://www.oxfam.org.uk/shop/local-shops/oxfam-shop-dundee). Alternatively, if you have any questions please do not hesitate to get in touch. It would be great to hear from any of your members. This page was last modified on 14th April 2019.